Having difficulty teaching students how to produce complex sentences? 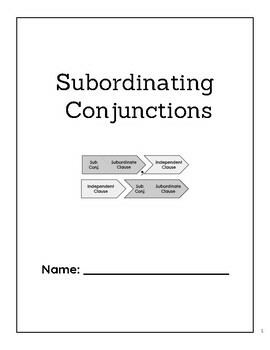 This packet provides adult models, visual supports, and direct instruction to teach students how to use subordinating conjunctions. 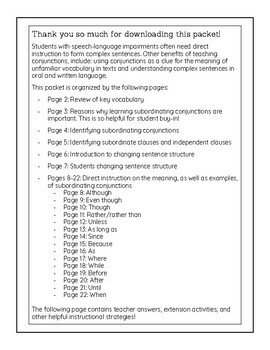 This scaffolded packet is sure to help your students improve their sentence complexity! 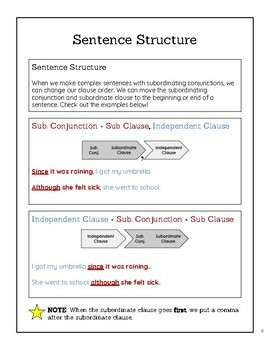 Page 3: Reasons why learning subordinating conjunctions are important. This is so helpful for student buy-in! Instructional strategies and extension activities are also provided!